As time goes by, new research comes forward where we, as humble practitioners, have to open our minds and embrace new findings. This is lovely for it allows us to explore new concepts. I see my body/life as a research station allowing me to explore what works and what doesn’t. I set the intention to be the best I can in reaching my full potential so why would I ever settle with complacency. Clients of mine keep asking me,”What do I do to be so vibrant and positive. Can you write it down for us”. This is how I began sharing it with them. 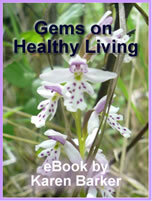 “Gems for Healthy Living” an ebooklet free off my website. Please keep drinking great water which less than 100 ppm. Get your heart rate bouncing 20 minutes a day or at least 4-5 times a week, and cultivate a positive perspective everyday of your life. Vitamin B-12 and D sprays from www.mercola.com are very effective. They work together to make Melatonin in our bodies that help induce sleep. When we become 45 years plus it becomes a valuable commodity let alone blissful, when we can sleep through the night. I used the spray for 3 months then got my blood palate done. It reflected that I was at a maximum for Vita. D and my vita.B 12 count was normal. This has been something I have struggled with for years. B 12 shots can help with energy and vitality. Coconut oil is still proving the wonder of all. As a medium fat chain getting digested in the stomach provides and ease in our digestion. Supports flexibility in the skin, tissues and helps counteract inflammation. I buy mine at www.alphahealth.ca. A Vancouver company who has great integrity. Their MCT/Coconut oil formula has globally been recognized with its effects on Alzheimer and the brain. Oil Pulling with DME coconut Oil from Alpha Health. Fermented Food is a great way to replenish the good bacteria in your digestive system. Kimchi, Sauerkraut, salsa are a few. Squatty Potty.com is a site providing us with the science why squatting is still the best position to be in when having a bowel movement. You still are seated on the potty but you place feet on a step stool which brings the knees up to your chest. Watch the 4 minute video and you may have an “AHA” moment. Earthing endorses the positive aspect to our deep need to walk barefoot, bobbing in the ocean. It reconnects out magnetics helping reduce inflammation which is the culprit to many diseases. Research articles can be found on Mercola’s site as well. The concept of Healing Water is defined as Liquid Crystal by Dr. Carla Nubay and myself. Structured Water and Phase 4 Water are other names for it. Dr. Pollack, Dr. Patrick Flanigan and Water Liberty.com. It supports Dr. Emoto’s work that water is a consciousness that is responsive on many levels. Please research. Oral health is a new horizon for me. www.youngliving.com has an oral health program with essential oils that is effective. The magic of swishing with Magnesium oil is worth it for me. I had some teeth root pain and within 24 hours it was gone. Harvested from deep within the Earth it targets calming the nerves. Great for muscles that jump in the night. Spray it on or swish it. Baking soda rinse at night will restore a healthy alkaline PH balance in the night when mouths acidity can have adverse effects on teeth health. Coconut Oil pulling for 10-15 minutes has its benefits. “Gut” Health is vital. Research shows that our immunity depends on a healthy digestive system supporting serotonin production. Findings are linking some psychological disorders as well as physical to poor digestive health. I take a Complete Probiotic in the am. 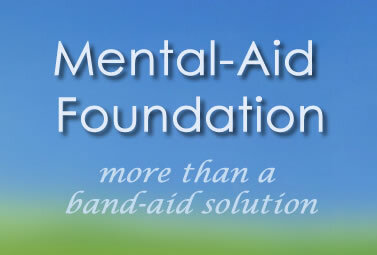 Please do your own research on the www.mercola.com site. What I admire about Dr. Mercola is that he has devoted his life to what works and is open to evolve. Our bodies are changing like the stressors/enviroment we live in. He gathers and hosts ground breaking individuals from around the world and shares their information. You may want to entertain his articles on intermittent fasting. His team have discovered that 20 mins. a day with interval intensity training is all one needs with a light weight workout 3 times a week. Regarding food, I have been doing the intermittent fasting, have become vegan, and limit my grains intake. Reaching for a protein source will curb the sweet cravings with some yummy sauteed veggies in coconut oil atop of some fresh organic greens. Fermented veggies as sauerkraut, salsas, chutneys, Miso, pickles, etc. are great for digestion. “Hungry for Change” a movie available on Netflix is a great education. Validating the harmful effects of processed food: white sugar, white flour,fat free syndrome and the obesity/disease issues our population is facing. “When in doubt drink water”, is still a mantra of mine. It supports hydration detoxing, and I feel lighter within myself. In Reflection: How much time do you spend goggling the “good” stuff? Spend a few minutes a day and you may realize your choices change. Gift yourself! Great stuff! The squatting might breaks my knees! Another great one is “Serrapeptase” which is the miracle enzyme and really does work! My scars disappeared in 6 weeks! ( One 5 incher) It has been in use in Japan and Germany for over 25 years.